Jurgen Klopp today paid Aaron Wan-Bissaka a huge compliment while discussing Crystal Palace’s team ahead of Saturday’s Anfield clash. Roy Hodgson’s side travel to Merseyside for a 3pm kick-off as big underdogs, but the boss is wary of their starting XI. The boss was talking to various journalists at Melwood during his pre-match press-conference and admitted to admiring Palace’s promising youngster. 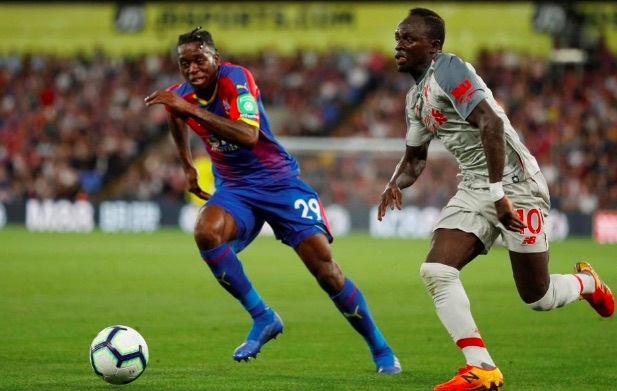 ‘Wan-Bissaka, one of the most exciting right-backs in England’ Klopp said, while running through Palace’s probable team. The 21-year-old has been a revelation this season, playing 21 games in the Premier League so far and impressing in nearly all of them. He’s a real fighter and loves a tackle; but has the composure and quality to pass the ball after he’s won possession. We would usually state how much we’d like Liverpool to buy a player of Wan-Bissaka’s ability, especially considering his age – but in Trent Alexander-Arnold – we have a right-back who’s even younger! With the number of players capable of deputising for Trent, including James Milner, Fabinho and the currently injured Joe Gomez – it’s not a position that needs attention right now – with Ki-Jana Hoever showing incredible progress behind the scenes as well.